Our consultant for the weekend is Stu Cabe. 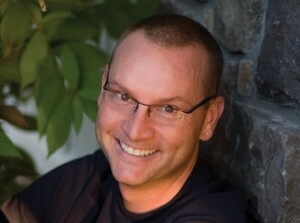 Stu is the CEO and founder of the Ovation Company. He is a national presenter and has been a professional actor for over 20 years. Stu is a specialist in promoting improved school climate and cultivating positive interactions with all who share the school environment. Join TASC for a weekend that will both motivate and rejuvenate you and your students at either Lakeview or Mo-Ranch. There will be advisor training and time for advisors to network with good friends. TASC conducts two separate two separate weekend retreats designed to allow experienced student leaders interaction with one another for motivation and advanced training as they meet with top leadership trainers, experience personal growth as leaders, and rejuvenate for the spring semester. These workshops are limited in size, and it is recommended but not required that delegates have attended a TASC Summer Leadership Workshop previously. Attendees should be active, involved members of your council. The curriculum varies from year to year, depending on the consultant and the group. These workshops are open to grades 9-12. While summer leadership workshops focus on student council leadership training, the advanced workshops focus more on personal leadership qualities and skills. Students interested in serving as JC's must submit an application by December 1. JC Applications are available under Awards / Student Recognition and on the Student Tab. *Schools must be active members of TASC in order to attend. *All attendees should be active, involved student council members. *Following the deadline for registration, if space allows, schools may be allowed to add more than the maximum stated number of students at either workshop. Contact Terry for more information immediately after registration closes. *All delegations must be accompanied by an adult advisor with a ratio of at least one advisor per maximum number of attendees allowed at the workshop. *Names and gender of students must be provided in order to process registration. Cancellation Policy: Cancellations may be made until the stated date that registration closes. Requests for refunds or cancellations must be submitted via email to Lori De Leon at [email protected]. No cancellations will be allowed, and no refunds will be made after registration closes. Schools not cancelling by the date registration closes will be billed the full amount for all persons registered including no shows. Timely substitutions are allowed. Gender changes must be made at least 72 hours in advance and will be allowed only if space permits.. Contact the Workshop Director for delegate changes. *Information specific to each location is included below. See below for registration costs and information specific to each location. Jeans/pants and t-shirts are highly encouraged as the primary dress. Shorts are NOT permitted at TASC conferences or workshops held during the school year. Shorts are permitted at summer programs but must be no shorter than three inches above the TOP of the kneecap. Skirts/dresses are permitted at all events but must be no shorter than three inches above the TOP of the kneecap. All tops and dresses must have sleeves at all TASC events. Caps or hats are not to be worn when inside a building. This dress code may be modified for performers at TASC events. Costumes must be approved by a conference committee. TASC/TASC Districts retain the right to enforce a specified dress code for events outside the TASC state calendar. Both workshops generally allow free time Saturday afternoon. Shorts that meet dress code are allowed for free time. In addition, some students choose to go down the slide into the Guadalupe River at Mo Ranch. Those students will need swimsuits and are required to have advisor permission to use the slide. The Lakeview Conference Center, a facility owned by the Texas Conference of the United Methodist Church is located in the heart of the timber region of East Texas, nine miles south of Palestine. Any student who is active in his/her student council may attend. Prior attendance at a summer leadership workshop is NOT required for registration at Lakeview. Registration Deadline: January 9, 2019. School delegation size is 11. See information regarding make up of delegation, cancellation, changing or adding delegates in general workshop information. Workshop Fee: Dormitory Housing: $185 per person - All students and adult dormitory housing, Semi-Private Rooms: (limited) $225 per person - Adults only. Please register early to reserve. Two per room with private bath. If you wish a private room, contact Kristi West for the additional charge. Meals are provided only with a full registration. Three meals are served Saturday, and breakfast is served Sunday. Dinner Friday is NOT included. Check out the Lakeview facilities and location! » Directions to Lakeview. Don't rely entirely on GPS. The dormitory facilities consist of six to twelve beds per room, with each room having its own bathroom and shower. Each person staying in dormitory facilities will need to bring sheets, pillow, blankets, towels and toiletries. Semi-private (two per room, private bath) is available for adults on a limited basis. This housing will be assigned first-come, first served. Linens are provided in these facilities. Many advisors will be housed in regular dormitory facilities. Enrollment will be limited to 250 students and advisors at Lakeview. Spaces will be filled on a first-come, first-served basis. Advisors may inquire the day after registration closes. If space allows, delegates may be added. Mo-Ranch, a conference center owned by the Presbyterian Church, is located in the Texas hill country, 23 miles west of Kerrville (near Hunt) on the Guadalupe River. Most students should have attended a TASC Summer Leadership Workshop previously in order to register for Mo-Ranch. Up to four students who are active in their council and have not attended a TASC Summer Leadership Workshop may attend. Registration deadline: January 23, 2019. Registration Fee: $225 per person (students and adults). If you want a private room, contact Kristi West to inquire about the cost. Meals are provided only with a full registration. There is not a cost difference for the different housing facilities. Depending on the facility assigned, housing will be as follows: 2 double beds per room and private bath facilities or 2, 3 or 4 beds per room and, depending on the facility, 2-4 rooms may share a bath. It will be necessary for students to sleep 2 per double bed. Linens will be provided in all housing facilities. Meals are included only with full registration. Four meals are included in this fee: Saturday morning through Sunday morning. Dinner Friday is not included. Enrollment will be limited to 275 students and advisors at Mo-Ranch. Please note that this workshop fills up quickly and spaces will be filled on a first-come, first-served basis. Advisors may inquire the day after registration closes to see if extra spaces remain. If so, delegates may be added. If you already have an active TASC account, sign in using your e-mail address as the Username. • The TASC NewsBlast is here! See the home page of the website. • To follow TASC tweets, text “follow @TASC_StuCo” to 40404. • TASC is also on Instagram and Facebook - search for us and stay involved! TASC DISTRICT MAP Click on the map to view the District page for contact information, meeting dates, and district constitutions. Not Receiving Our Emails? Many school districts have very strong SPAM filters in place and a great deal of our emails, including invoices and reminder emails for events for which you may register. Please inform your IT department of TASC so they can add us to the approved senders.